Are you an institutionalized leader? Brooks had been part of one particular institution for 50 years. It was all he knew, and over the years he grew to love the familiar walls, the fulfilling work, and the predictable patterns. So when Brooks was forced to leave, he couldn’t cope with the realities of another life. He broke down and attacked a friend. You can watch the scene here (warning – foul language). Church leaders can become isolated from the wider world when they listen only to their church or denomination. These Christian bubbles insulate their thoughts and practices from serious challenges. The problem with this is that challenges make us stronger. It’s only by facing other ideas that the church can really know what it believes. It’s impossible to keep all opposing views at bay. Eventually one will sneak through our defenses. And when it does – if we haven’t built a strong foundation of critical thinking and reasoning through objections – the whole system could come crashing down. Another way that leaders can become institutionalized is when they live and lead in a dysfunctional church. Eventually, every pastor either challenges the problems in the church or adapts to them. It’s easier to adapt to them because dysfunctional systems will reject health. A pastor who tries to address problems will face much more conflict than the pastor who adapts to them. Unfortunately, the leader who adapts to the problems becomes institutionalized by them. Theological systems are good and useful tools because they help us to understand the Bible better. However, they become a problem when they begin to replace sound biblical interpretation. Theological systems should be rooted in the text of scripture and they should be continually reforming to become more in line with the Bible. Pick any theological system: Calvinism, Arminianism, Dispensationalism, Covenant Theology, etc. When leaders defend their particular theological system by distorting scripture, mischaracterizing other systems, or ignoring them altogether, they have become institutionalized. Sometimes leaders become institutionalized by their local or national culture. When this happens they begin to abandon the countercultural elements of the gospel in order to adapt to the prevailing attitudes around them. They begin to interpret scripture through the lens of culture instead of interpreting culture through the lens of scripture. Leaders who are institutionalized by culture are worshiping the culture rather than Jesus. In the United States today, political partisanship has become so toxic that Christians are starting to use political positions to determine whether or not someone else is a true Christian. This is institutionalized thinking. When we begin to assume one political party or a particular political ideology is Christian (and all others are evil) we have moved away from Christ. When we grab for power and control, we are not trusting Jesus to lead us. He said, “My kingdom is not of this world,” therefore we cannot use worldly structures and human wisdom to accomplish heavenly purposes. 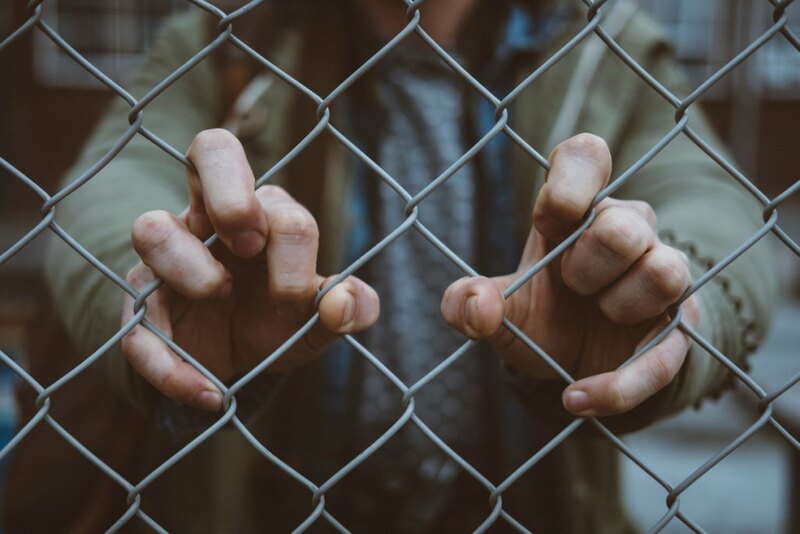 Here are five ways a Christian leader can protect against becoming institutionalized. Many evangelical Christians have no understanding of history. Very few know the history of philosophy or the history of the early and medieval church. Some will know about the Reformation or their own country’s history, but many only know about what has occurred in the last 100 years. This is why the same heresies keep popping back up. By studying history, especially church history, we learn the ways the church has confronted or succumbed to cultural influences. When we see these patterns, it becomes easier to identify them in our own church or denomination. You don’t have to agree with someone to listen to them well. In theological debates and discussions, it is rare to find someone who has truly listened to the other side, which means they don’t really know their own side either. A leader is listening well when they can restate the other person’s argument in their own words and have the other person respond by saying, “Yes, you’ve got it. That’s what I believe.” When you treat the other person with that level of respect, the discussion will be much more civil and much less emotional. This respect creates an environment where people are free to disagree without becoming divisive. Learning to see life through the eyes of another gender, economic, or ethnic group is one of the great ways to avoid becoming institutionalized. Take a trip to another country. Develop friendships with people who are different from you. Learn everything you can about how others see the world and why they see it that way. In 2003, I took an 11-day trip to India. I was fascinated to learn how Christians in rural India saw the world. They taught me a different way of looking at time and prayer that still enrich my life to this day. Jesus offended nearly every political and religious group of his day. He spoke the truth and stood apart from the power centers. He recognized God the Father as the only true authority. If we are to speak truth to power, we must know what God says on the issue we want to address. We must challenge our own sinful biases first. By taking this log out of our own eye, we can see clearly to confidently confront the abuses of power in our world. Here’s a hint: every political power in our world is in some way opposed to God. Look at your own group and challenge them first. Ultimately, the best way to avoid becoming institutionalized is to spend time with Jesus. Submit to him in prayer and worship. Learn from him through scripture and the preaching of the Word. Allow the Holy Spirit to shape your heart to become more like him. Pretty soon, you will find that you don’t fit in any human institutions. You will find that you are secure in the Father’s love and you will no longer need the comfort and security the walls of Shawshank provide. What are some other ways leaders become institutionalized? How do you avoid it?